The Visco Therapy Impression Cool blue has been developed and engineered to offer the same feel and pressure relieving properties as memory foam but without the heat discomfort. Cool blue also features Ultra-Fresh anti-microbial protection for the ultimate in mattress hygiene. Cool blue has been developed and engineered to offer the same feel and pressure relieving properties as the equivalent density (65-75kg/m) visco-elastic memory foam but without the associated heat discomfort. Cool Blue also features Ultra-Fresh anti-microbial protection for the ultimate in mattress hygiene. 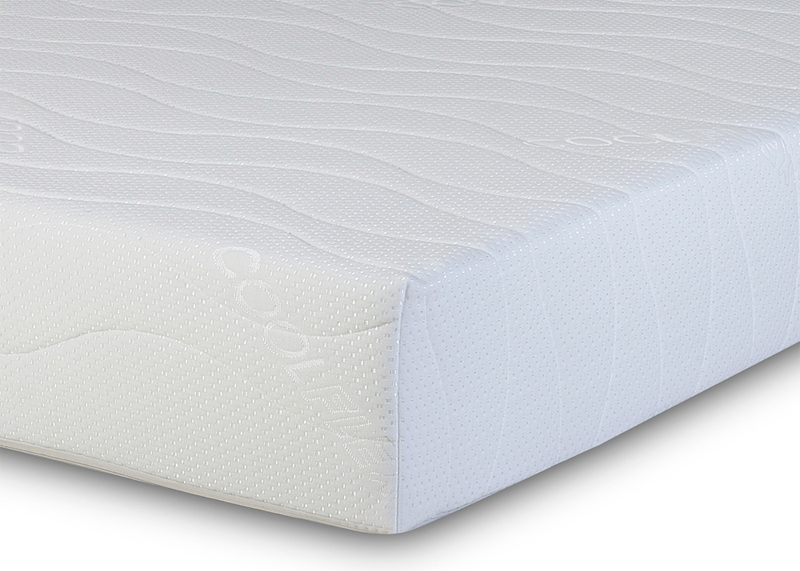 It cradles you in the same way as regular memory foam however it’s very low (almost zero) visco – elastic threshold and prevents it from completely moulding around the sleeper which is the major contributing factor to the excessive warmth associated with sleeping on memory foam mattresses for some people. The new Visco Therapy Impression Cool Blue has been developed for the ultimate in sleep comfort and support. By incorporating cutting edge Impression Cool Blue memory foam you can be assured of all the pressure relieving benefits of memory foam without experiencing any heat discomfort associated with regular visco elastic memory foam.